A specialist area of photography in which Don is well known and one that many photographers like to have a try at, regardless of whether they are railway enthusiasts or not. 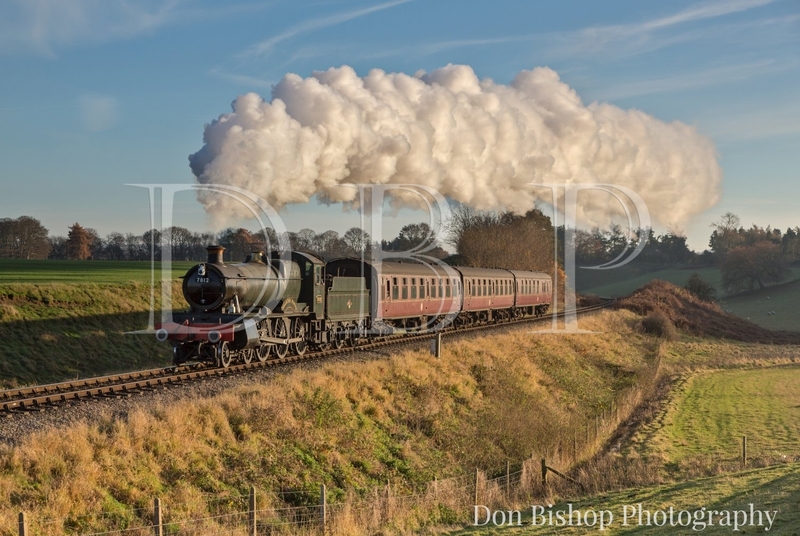 A specialist area of photography in which Don is well known and one that many photographers like to have a try at, regardless of whether they are railway enthusiasts or not. Steam train photography requires many special techniques to be applied and considered to get the best results and these workshops will show what these are and how to work within the constraints presented to you to get excellent quality steam railway images. So if you are a steam enthusiast who wants to improve their pictures of preserved steam in the UK or a keen amateur photographer of any subject these workshops are very enjoyable and beneficial events. Normally held at the West Somerset Railway which runs between Bishops Lydeard (near Taunton) and Minehead and offers plenty of photo opportunities, ranging from the beautiful Quantock Hills to the seaside at Blue Anchor where the line runs right along the top of the beach. Alternatively the workshop can be held at a steam railway in your own area, but additional costs will apply to cover travel and accommodation. The course will include transport around the locations selected where the light will be good for the shot planned. Tuition will also be provided on camera technique, composition and exposure control etc. The emphasis will be on shots that include the landscape around the railway as well as the steam trains themselves. The day will start at approx. 09.00hrs and continue through until approx. 18.00hrs with a packed lunch taken whilst out on location. Cost quoted for this workshop is per person/per day when held at the West Somerset Railway. Thursday 27th September 2018 – WSR Autumn Steam Gala. Saturday 29th September 2018 – WSR Autumn Steam Gala. New dates to be advised Cost for this workshop will be £174.00 per head.